Request a quote, complete with shipping. 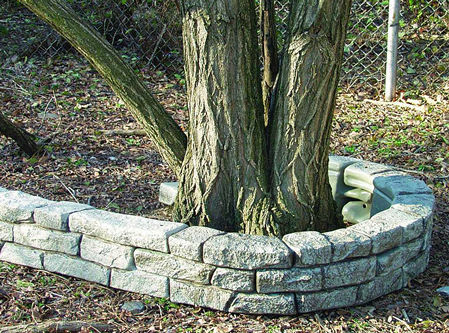 Plastic borders look great and work wonders for your playgrounds and backyards. 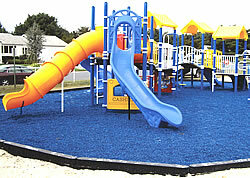 Below, you’ll find various images of plastic playground borders, in a variety of settings. 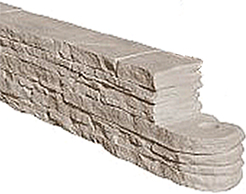 They’re available from our parent company, Maryland Materials, in a range of colors and several different sizes. 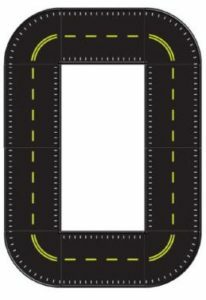 4-foot plastic border (6″ high). borders. You can use a simple hammer or mallet to drive in the spike. Once the spike is driven completely into the ground, the borders hold playground surfacing in place. 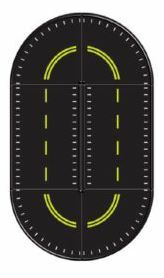 Our retro-fit system lets you customize border lengths to your area’s exact measurements. Shown here: The retro-fit system, collapsed to the desired length. playground’s resilient surfacing in place. 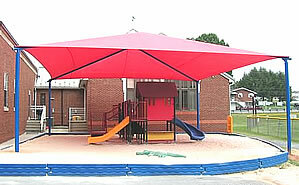 Princess structure from SportsPlay, Inc.
Thomas structure from SportsPlay, Inc.
shade structure create a lively look. the lawn around the playground. but they’re much lighter and less expensive. 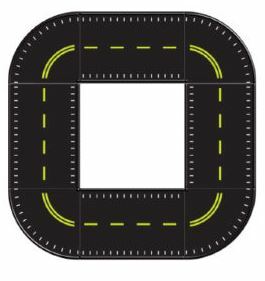 2 stone themes (the plastic border is reversible!). medieval look to any playground area. Plastic borders also make great sandboxes. 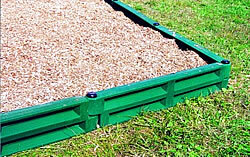 When you build a sandbox using plastic borders, the borders lock together tightly to keep the sand in. In fact, the only time the sand will leave the sandbox will be in your kids’ pockets! 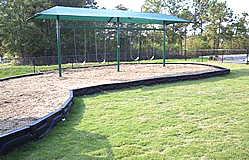 Our plastic borders measure 8″ or 12″ high, creating a barrier around your playground. This entrance ramp gives easy playground access to infants and special needs children. They’re made from durable polyethylene, and they’re ADA friendly. When you’re installing the plastic borders, just leave room for the ramp, and it fits right into place. Part#: 902-503. Weight: 100 lbs. 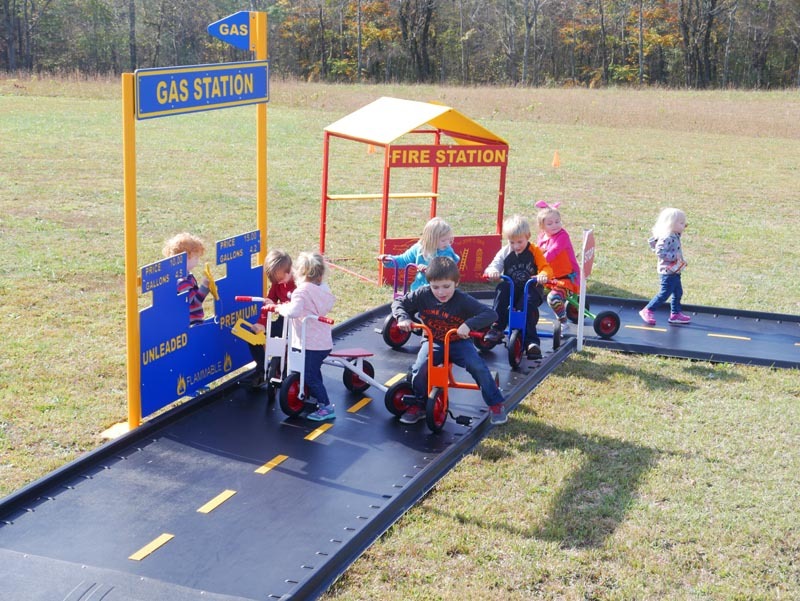 Our Trike Paths are designed to be customizable to your playground needs! You can mix and match the parts below, and they snap together like puzzle pieces, no hassle! 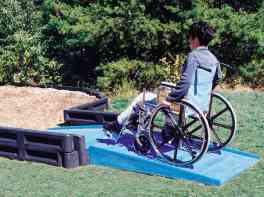 Our Trike Path is ADA Compliant, it is 5’ wide and has a 2” edge’s along the side so your play area can meet the ADA Law. For more info, follow this link or contact us today!